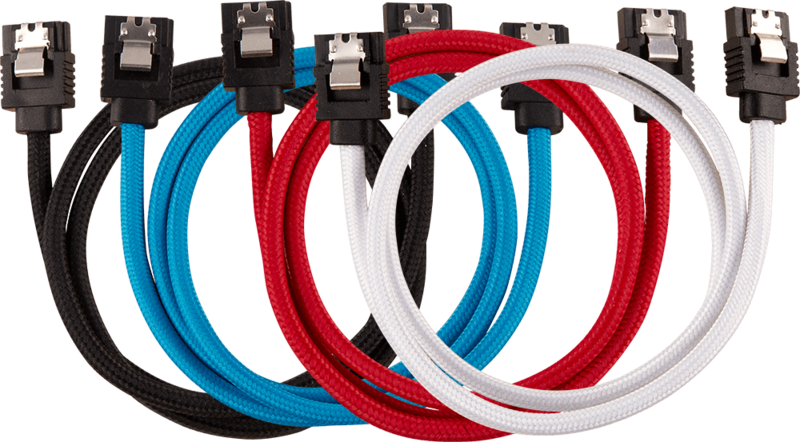 CORSAIR Premium Individually Sleeved SATA Cables complete your PC build in style. Delivering full-speed SATA 6Gbps, available in four different colors, and clad in premium mesh paracord, they’re the finishing touch to your PC build. Experience full-speed SATA 6Gbps, delivering the maximum performance your SSD or hard disk has to offer.